Gateway Estates - Leasing Now! Gateway Estates is a new townhouse development in Trenton Maine. These brand-new homes have 3 levels with a full basement. They are located across from the Wild Acadia Fun Park on route 3 and are only minutes to Ellsworth, Bar Harbor, Acadia National Park, Jackson Lab, the local airport and hospitals, shopping centers, and many restaurants. It also has a walking trail on site, security and many more amenities. Leasing has begun for phase 2 and phase 3. 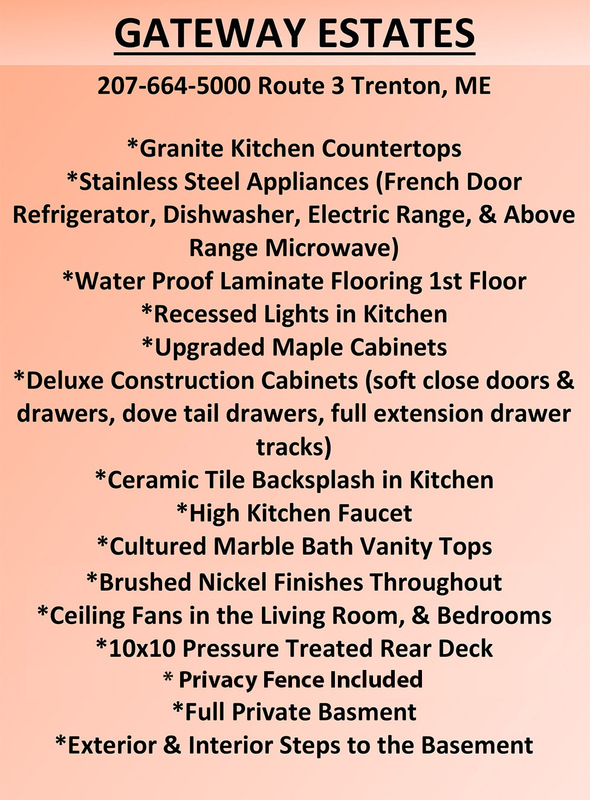 For pricing and other information please call 207-664-5000. 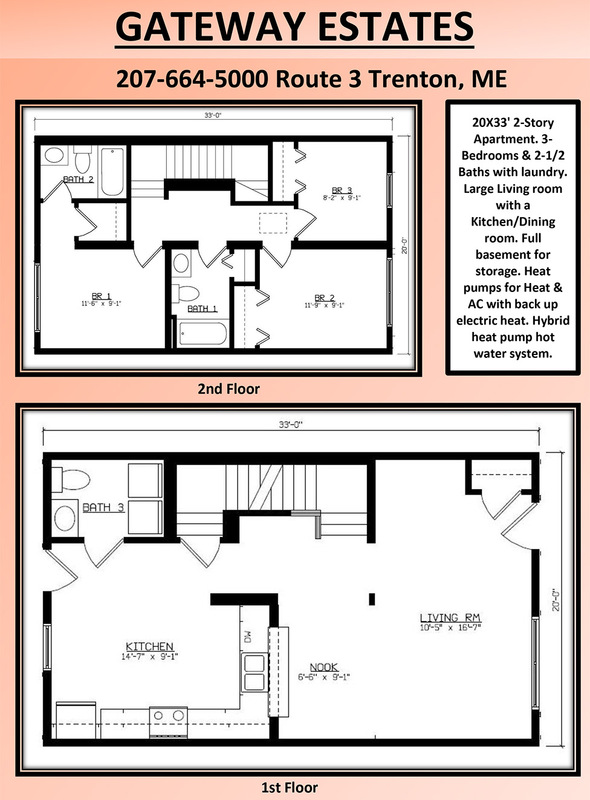 See the chart below for a list of high-end amenities and floor plan. Units are going fast so call today!